Creating a slideshow from your digital photos has never been easier. Photostage brings your pictures, images and video to life and lets you share your favorite memories with family and friends in an interesting and portable way. With incredibly powerful features at your fingertips, Photostage lets you set your photos to a soundtrack, record your own narrations and overlay text captions. 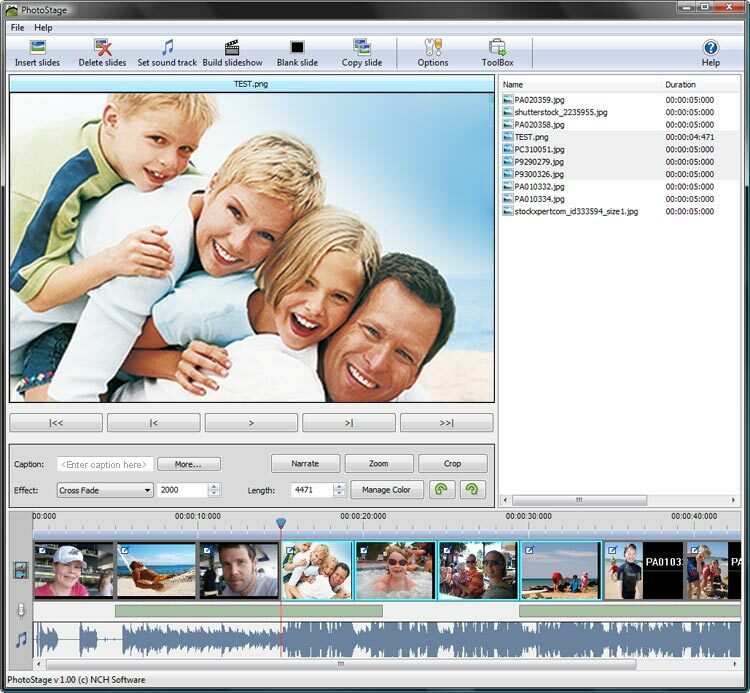 Photostage is Designed to be very easy and intuitive to use. ...... Simply download now and install. We make this software free in the hope you will like it so much you will try our other related software. Qweas is providing links to PhotoStage 2.11 as a courtesy, and makes no representations regarding PhotoStage or any other applications or any information related thereto. Any questions, complaints or claims regarding this application PhotoStage 2.11 must be directed to the appropriate software vendor. You may click the publisher link of PhotoStage on the top of this page to get more details about the vendor.